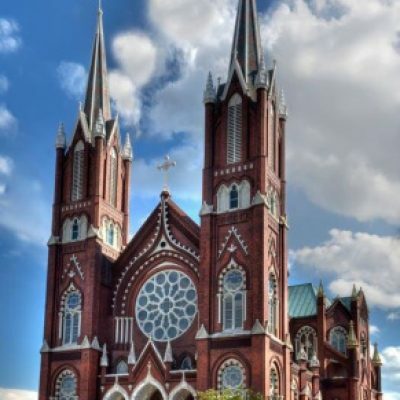 Visit a beautiful Romanesque Neo-Gothic style church that was dedicated in 1903. Carrara marble altars and statues, as well as windows crafted by Bavarian artists, adorn this historical structure. St. Joseph Church is one block from the Macon City Hall.